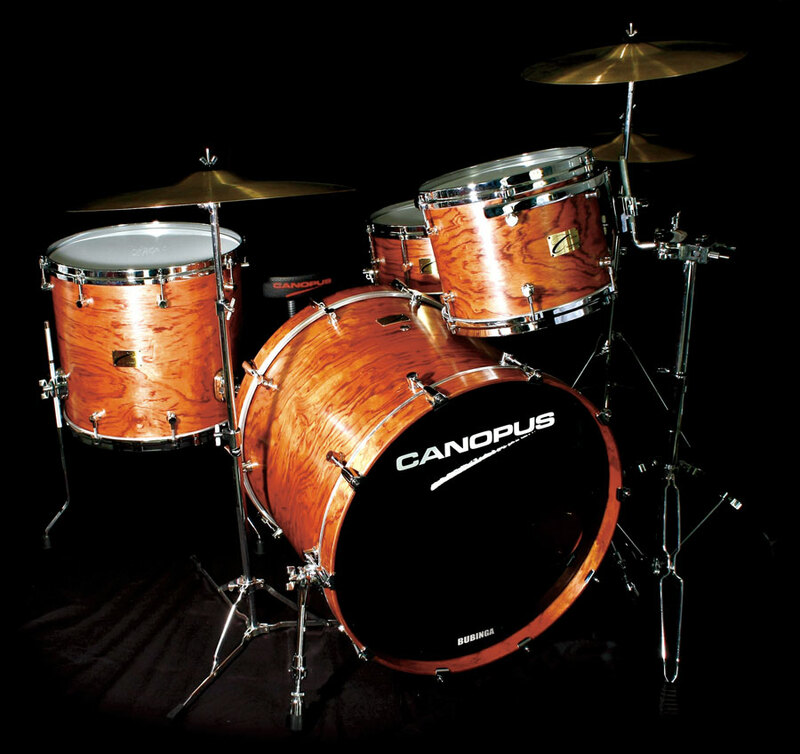 Bubinga wood characteristically creates a dark tone with solid core sound. It is much harder and heavier than Maple or Birch and beacause of these it has been associated with a high, metalic overtone wich some drummers find difficult to deal with. However, by coordinating the number of piles and using our unique edge shaping, CANOPUS has created a pleasant sound with incredible definition.